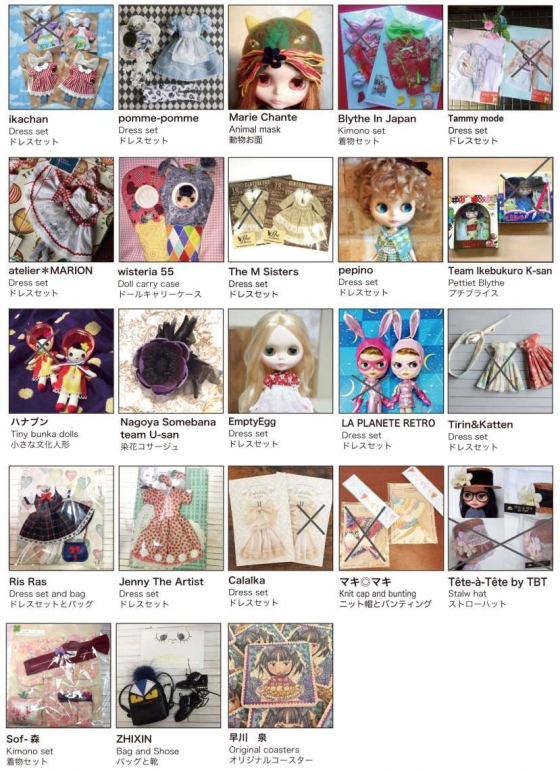 At Blythe Con Japan, we had some extra goodie bags and each bag had one raffle ticket. We should had taken the extra tickets from the raffle box, before we started the Raffle, but we forgot to do so. It is our bad. We are very sorry. One more thing, the biggest mistake that we commit was we forgot to receive a custom doll from Freddy. That doll is supposed to be included in our biggest prizes. As of now, we have two biggest prizes and almost fifty prizes left. And for that, please accept our humble apologies. 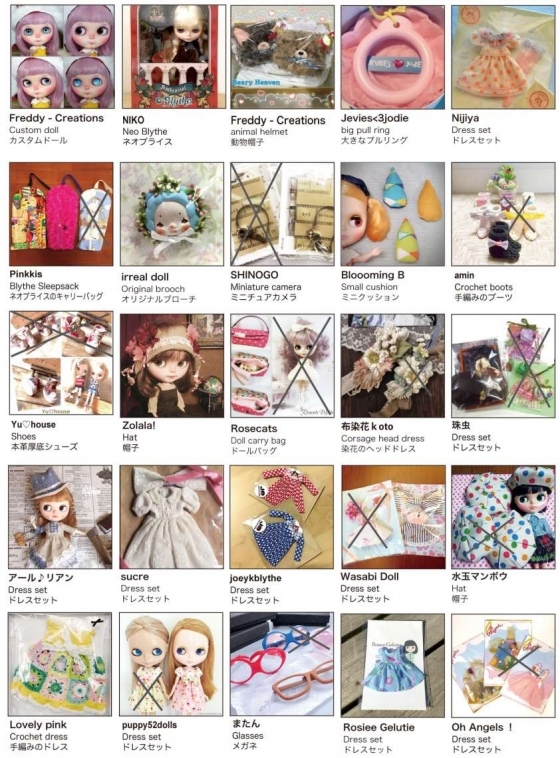 In connection, we decided to have a new raffle here/on the BCJP website for the remaining prizes and of course, everyone can join! But since all of you don’t have a raffle ticket number yet, we will be providing a new one basing on your attendee ticket number or vendor table number. For the winners, we will send the prizes to you. This is so exciting! We couldn’t wait for the raffle time. We will make the Raffle in the middle of September. Please keep posted as we announce the list of the winners. Thank you so much and stay tune!